Aldhu is the lastest version of the Rotor Q-Rings line up. 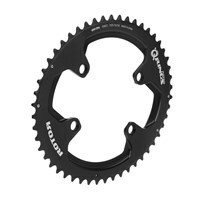 Using the Shimano bolt square diameter (110 x 4), the rings are configured in the OCP3 style with a 12.5% ovalization. These rings are the lightest version of the Rotor Q-Rings, giving the Aldhu crankset multiple options when it come to their 4 arm spider. These rings are also compatible with the Shimano R9100 crankset. 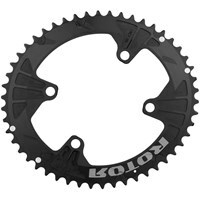 Throughout Rotor’s history, many professional cyclists and triathletes have chosen Q-Rings. Their victories, like gold at the Olympics, the podium’s top spot in the Tour de France, more than twentyfive wins in Ironman races, and more than twenty mountain bike, road, time trial and cyclocross world championship titles speak for themselves. Biomechanical research indicates that with Q-Rings, the effort is translated into performance and pedaling efficiency. Q-Rings compensate for inefficiencies in the pedal stroke by maximizing muscular engagement through the most powerful portion of the pedal stroke and minimizing it through the dead spots. In scientific, 1 km time trial studies, Q-Rings resulted in a 1.6 second advantage compared to round rings. 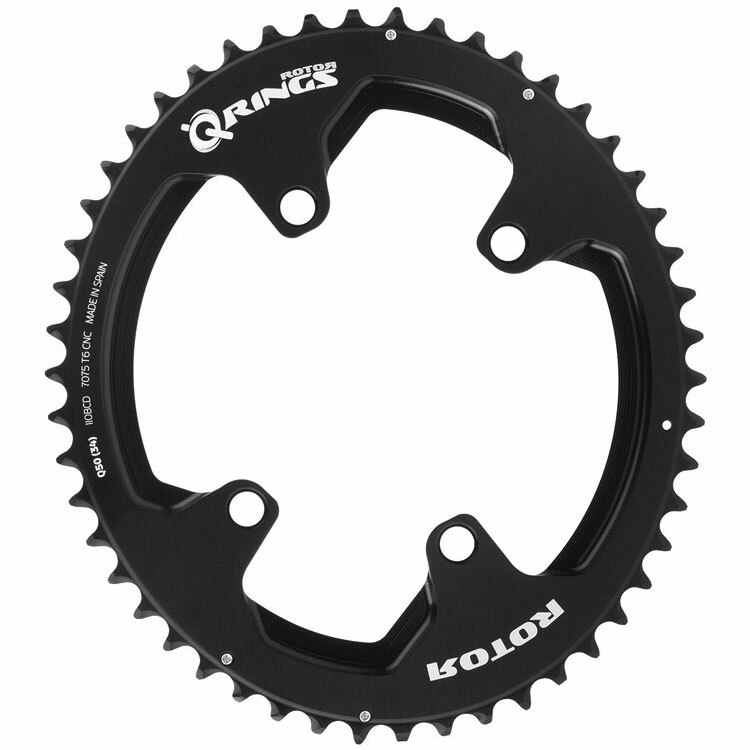 Some of the benefits of Q-Rings include improved overall performance, a greater ability to accelerate or sprint, a delay in the sensation of muscular fatigue, smoother torque, and better grip off road.